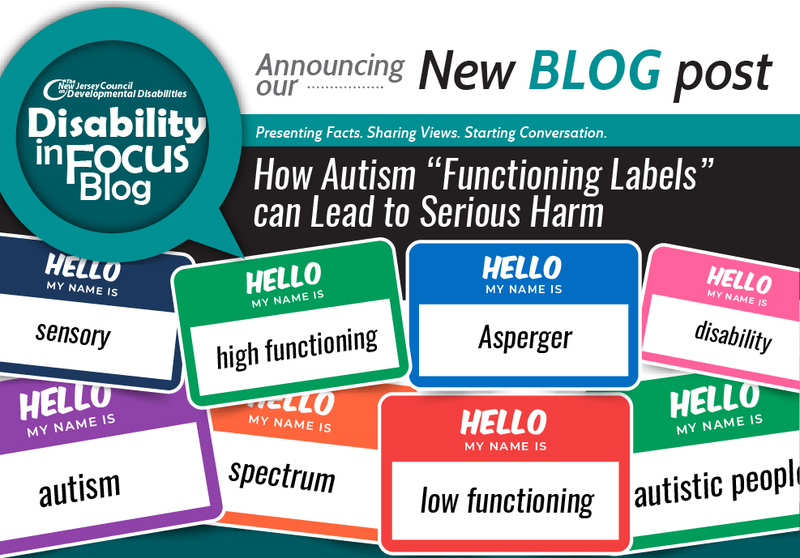 The autistic spectrum usually refers to people diagnosed with autism as “high functioning” or “low functioning.” While this is not often explicitly stated, the most powerful bias against autistic people seems to hinge on whether they are able to speak. The issue is not necessarily about how well someone can function. Sometimes it’s about how well someone appears to be functioning. Is a person high functioning if they can talk and they’re intelligent but their sensory issues hinder them from traditional educational or workplace settings? Is a person low functioning if they can’t speak but can expertly draw or solve complex math equations? These questions illuminate a problem with one of the most well-known topics related to autism: Asperger’s Syndrome. The false dichotomy between high functioning and low functioning is just one of the reasons why the 5th edition of the Diagnostic and Statistical Manual of Mental Disorders may have removed Asperger’s as a condition separate from autism. With this move, DSM-5 encompassed all the varying behaviors of autistic individuals under the umbrella of autistic spectrum disorder. This was a step in the right direction. It is unfortunate, however, that Asperger’s Syndrome is still a part of the popular lexicon surrounding this topic. This is especially tragic considering evidence linking Hans Asperger, after whom the Syndrome is named, to a eugenics program headed by the Nazis. A press release from biomedcentral.com goes into more detail. The study itself can be found in the open access journal, Molecular Autism. The study regarding Asperger’s involvement with the Third Reich “points to instances where Asperger referred profoundly disabled children to the Am Spiegelgrund clinic, which participated in the Third Reich’s child euthanasia program,” according to the press release. As many know, disabled people were one of the several targets of Hitler’s genocidal practices. “The program served the Nazi goal of eugenically engineering a genetically ‘pure’ society through ‘racial hygiene’ and the elimination of lives deemed a ‘burden’ and ‘not worthy of life’,” the report continued. There is a profoundly tragic irony in the fact that the man chiefly responsible for widening the discussion on the needs of autistic people used his findings to disregard people on the very same spectrum. The term “low-functioning” is used to disregard a person’s intelligence or agency, something Asperger thought that some children on the spectrum innately lacked. This can only serve to further internalize ableism that children are forced to endure and that some are not given the means to protest against. This results in a self-fulfilling prophecy. If people are not given the means to live up to their potential, they will not be able to. This can lead to a destructive social hierarchy in the autism community that can effectively be termed Asperger’s Supremacy, in which people considered more high functioning may grow to consider themselves objectively superior to those who are not. However, to be considered high functioning can also be harmful. It may teach people to ignore their very real struggles and coast by on the reputation of being most like their neurotypical peers. The study on Asperger concludes that he referred disabled children to the notorious Am Spiegelgrund clinic in Vienna, where hundreds were either drugged or gassed to death from 1940 to 1945. Asperger’s contribution to eugenics is just very extreme example of why the false dichotomy of high functioning vs. low functioning is harmful. The ability to appear similar to your neurotypical peers is not a measure of intelligence. One’s ability to verbally communicate is not a measure of intelligence. One’s ability to suppress stimulatory behaviors is not a measure of intelligence. Despite what some may say, those “stims” do not necessitate discipline or compliance to typical standards. Someone’s educational needs are also not determined by level of function, nor is it the case that the current model of educational structure is necessarily indicative of intellectual skill. Functioning level, in the most traditional sense also does not tell you whether someone has the ability to find a job and succeed at it. There are people with low functioning autism who may have jobs at which they excel, and people considered “higher functioning who cannot seem to find or keep a job, just like their neurotypical counterparts. Therefore, the autistic spectrum has primarily served as a way to enforce social hierarchy and judge the supposedly inherent worth of human beings. This is done when people compare those on the spectrum to a supposedly objective (but actually arbitrary) standard. It is time to assess people’s needs in a way that accounts for their individuality. Just like the DSM-5 retired Asperger’s Syndrome, it may be time for the public to retire functioning labels.